The Central Committee of the Communist Party of Israel issued the following statement on Friday, January 25, 2019. The Communist Party of Israel (CPI) strongly condemns the blatant intervention of US imperialism and its allies in the internal affairs of Venezuela with the aim of removing the elected President of Venezuela Nicolas Maduro. It is clear that the United States is seeking to take advantage of Venezuela’s economic problems, which were essentially also the result of its embargo policy towards the South American nation, to roll Venezuela back to the age of right wing and fascist puppet regimes. As in the past, Latin America, which the US regards as its backyard, is to be turned into a haven of reaction and fascism in the service of US corporations. The immediate recognition of the self-proclaimed “interim president” by the US and other right wing governments is contrary to any international law and unequivocally Fproves the directing of this coup attempt by the imperialists. The plan for regime change in Venezuela has been in the works for a long time. The present US move to recognize the opposition leader, Juan Gerardo Guaidó Márquez, as interim President and to call upon Latin American countries to follow the US is a new model for regime change which jeopardizes peace and stability throughout Latin America in general, and in particular has the potential of driving Venezuela to civil war. The imperialist design of creating dual powers in Venezuela will only deepen the social divide and undermine the authority of the state and endanger its sovereignty. Moreover, a military intervention by the US is looming threateningly over Venezuela. However, the armed forces of Venezuela have expressed their resolve to meet any such challenge. The Communist Party of Israel hopes that, with the popular support of Venezuelan people, President Maduro will be able to defeat all imperialist machinations. 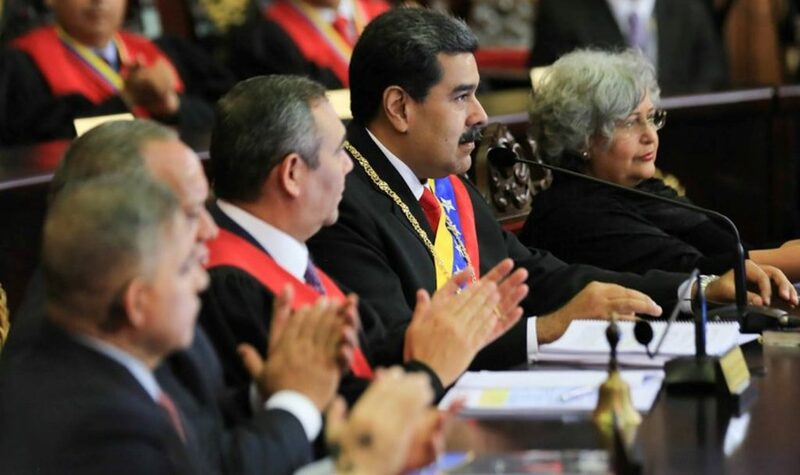 The CPI urges upon the governments of Israel and other Middle Eastern countries not to support any effort by the Trump administration to destabilize the elected governments of Latin America, especially in Venezuela, contrary to the will of the people.